Father’s day is coming up, nobody panic, but it’s next week! So I have rounded up a few ideas for all the Dads, Fathers, Daddies, Pops and Grandpas. How are you making the day special this year? 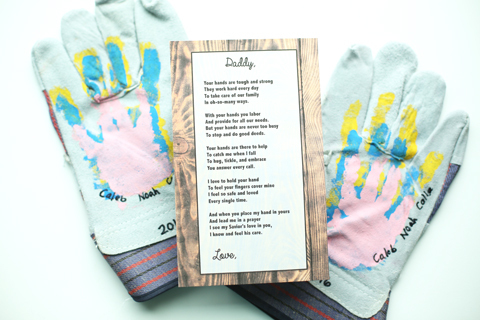 For those dads that love to be outside, those hard-yakka workers, the ones you will find in the garden on the weekend or maybe in the shed ‘fixing’ things, here is a great little tutorial for handprint work gloves which comes with a gorgeous little poem. Such a sweet idea, the little ones can be with him whenever he is working. Now, I have never played golf, unless you count putt putt… while I was at uni… pretty tipsy. 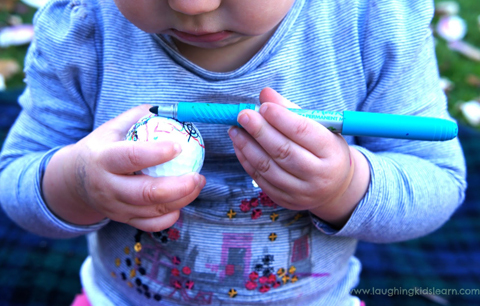 BUT in saying that, there are lots of Dads and Pas out there (my Pa included) who are golf-crazy and this next tutorial is perfect for kids of all ages. All I can say is, I am sure that your dad’s balls (minds out of the gutter people) will be the trendiest ones on the course. Breakfast is a must right? Of course! 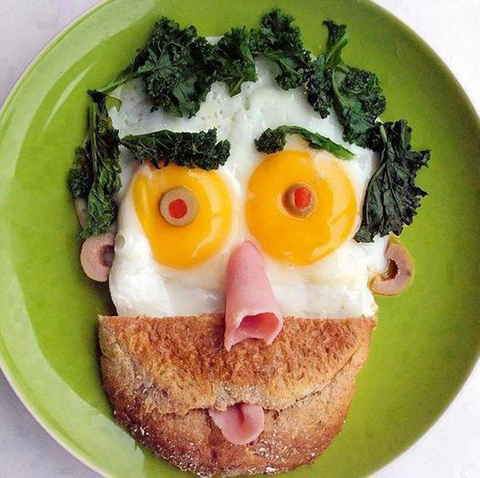 Why not get the kids to create something special for Dad in the kitchen? Not only will you inspire your kids to eat healthy, but you will also be letting them go wild with their imagination, and – let’s be totally honest – who doesn’t love to play with their food? This book, ‘Funny Food Made Easy,’ is so much fun (not just for Father’s Day) and will give you a few ideas! Are you looking for a special gift for a bike fan? Got a Dad who likes to feel the wind of their face on the way to work, or maybe on the weekend on a fully-sick BMX track? 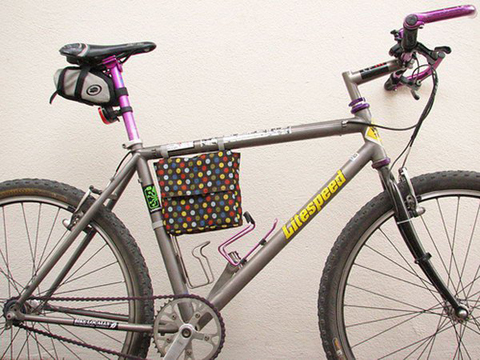 Either way, this bike lunch bag is for you to create. We would love to hear your ideas! How are you celebrating this year?